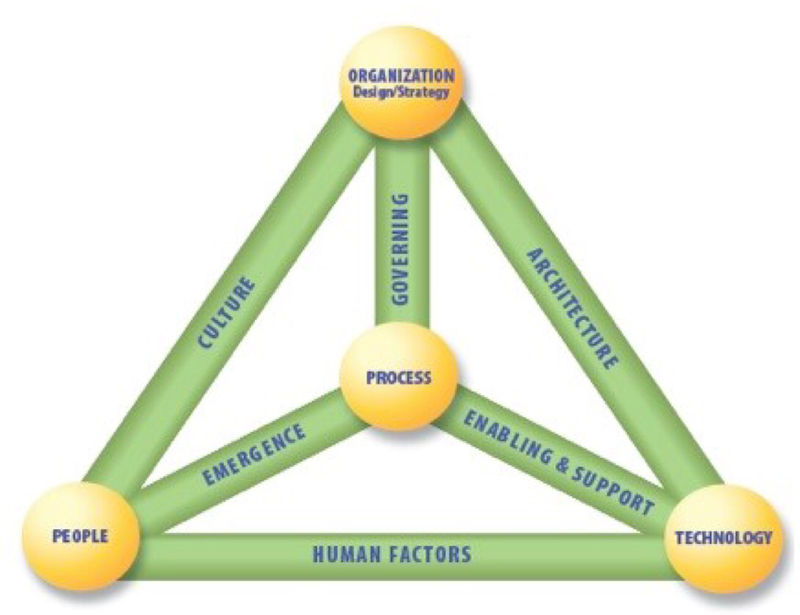 I’ve had the distinct pleasure of implementing an Enterprise Governance Framework. It was great and it worked, and that’s exactly why my perception of Governance has evolved. Big brother can work quite effectively. By that I mean a quick witted project manager can learn how to sit on brother’s shoulders, and that is the Achilles heal of a Governance framework in this day age. Governance today is visible, manipulatable, and overarching. Agree that one size does not fit all in the real world and you’ll be hard pressed to figure out how to govern, and again that’s because most organizations today try to develop an overarching Governance framework while Corp-cultural paradigms are in the process of being redefined for agility. You’ll figure out how to govern when you settle on what to govern, in doing so you can be one step closer to a universal governance model. Consider governance of a process. I call the figure below the triangle of love (long story…). In process design, my humble opinion is Governance and Controls should come last, so you know what you’re governing and controlling. “Governing” vs. Governance is a key consideration. “GOVERNING” means active Governance with a focus on organizational Design and Strategy to empower a culture geared towards people as the primary drivers, thus providing organizational leadership with the necessary support to realize desired outcomes by focusing on activities. 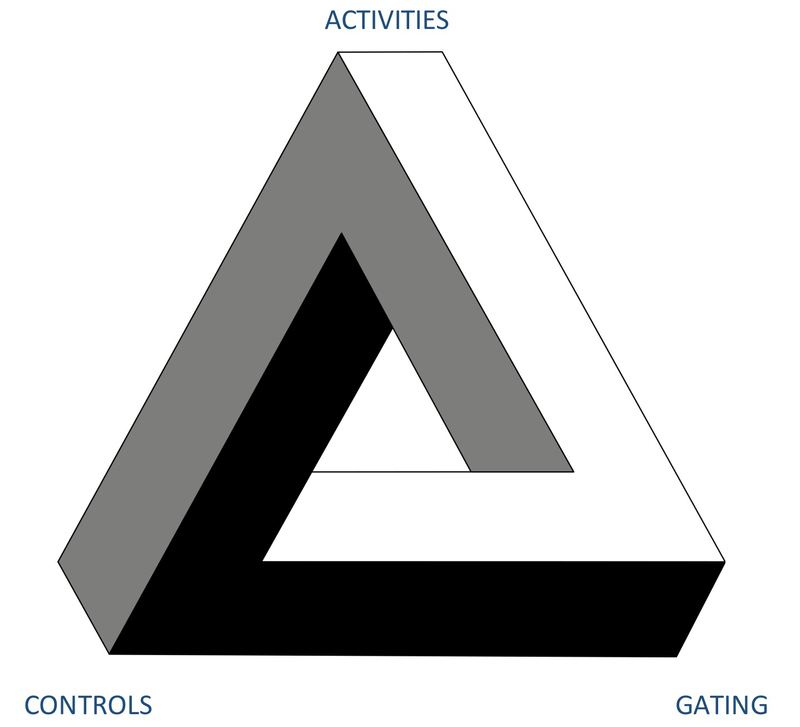 By aligning Controls and Gating (Governing) to Activities as the primary driver, as a process is tailored, Governance becomes dynamic and is for lack of a better term, carried, thus supportive and universal in nature. Note how controls, gating and human factors are all underlying, or for lack of a better term, underground. The future of Design and the Design Jockey. Progressing from solitude to open design. Eyes above the horizon. Greece is Great.